In our new series Analyzing the Game, ScoreStream will take a look at some of the top games from ranked teams around the country. 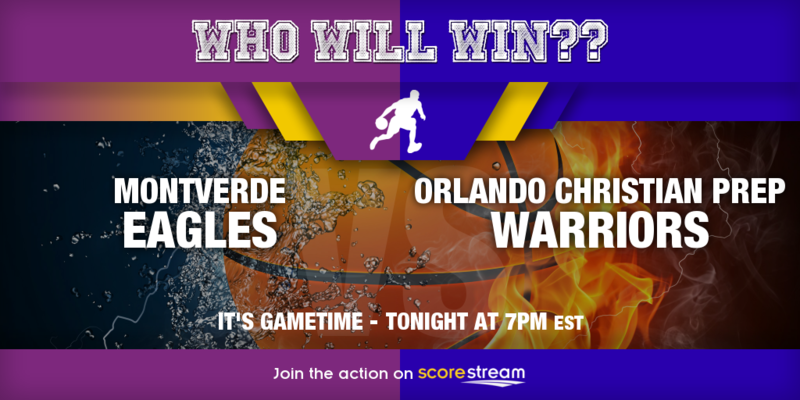 Today we take a look at the USA Today Game of the Day between #2 Montverde Academy and Orlando Christian Prep. The Setup: On a 12-game win streak, #2 Montverde Academy will host in the opening round of their own tournament- Montverde Academy Invitational Tournament. Orlando Christian Prep comes in on a 3-game win streak of their own. The game will tip-off at 7PM (EST). “Montverde Academy players to watch: LSU-bound big man Ben Simmons (28.2 ppg, 12.5 rpg) is considered the No. 1 player in the country. Senior guard Marcel Ponitka is solid at point guard and junior guards Blake Harris and Howard Washington Jr. are big contributors. Factors: Bringing in a 14-8 record, the defending 2A State Champion Orlando Christian Prep averages 59 points a game while holding their opponents to an average score of 56.4. They have played two nationally ranked teams this year (Blanche Ely and DeMatha Catholic) and were beaten significantly in both games. The final scores were 40-62 and 45-71 respectively. Montverde Academy sits at 23-1 while playing a plethora of the countries top teams. Of the the eight nationally ranked (at some point) teams they played, Montverde’s sole loss came in the City of Palms Classic championship game against nationally Wheeler. Montverde Academy averages 73.4 points per game and allows 56.75 points per game. Prediction: Montverde Academy has been in their home state in Florida now for the past 10 days and have had five days off. They will want to show off on their home court in the opening round and I see this one playing out as an easy win for Montverde Academy. We want to hear your predictions! Share below or in the game chat! 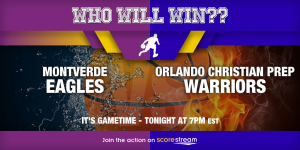 Follow all of the game action on the app or here (Montverde Academy vs. Orlando Christian Prep).